Syntax Cinema Orchestra appeared on the Hungarian musical scene in 2005. With its compositions on the verge of jazz and contemporary music this unconventional orchestra has soon caught the attention of the perceptive audience. 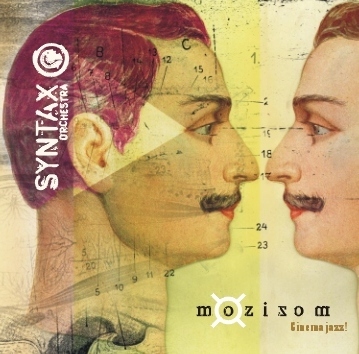 Now, with their first album (Mozizom - Cinema'C, 2008, AR01/) in their hands, they are already prominent members of the Hungarian underground jazz stage. The “Syntax-conception” of interrelating music and images lifts their shows above any conventional category. On their first album the music, which in itself reminds us of a montage, gives life to video montages composed of classical films (Fellini, Jarmush, Fritz Lang, Tarkovsky). From traditional jazz they only kept the instruments (sax, drum, double bass, guitar, bass clarinet), but they also use instruments of the Far-east and Africa, and electronic equipments (sampler, loopstations) creating an interesting musical mixture that makes every Sytnax-concert an unforgettable audiovisual experience, for music and film lovers as well.